Be sure to purchase your Dollectable calendars today to be entered into the drawing for a dibs in the give away upload. 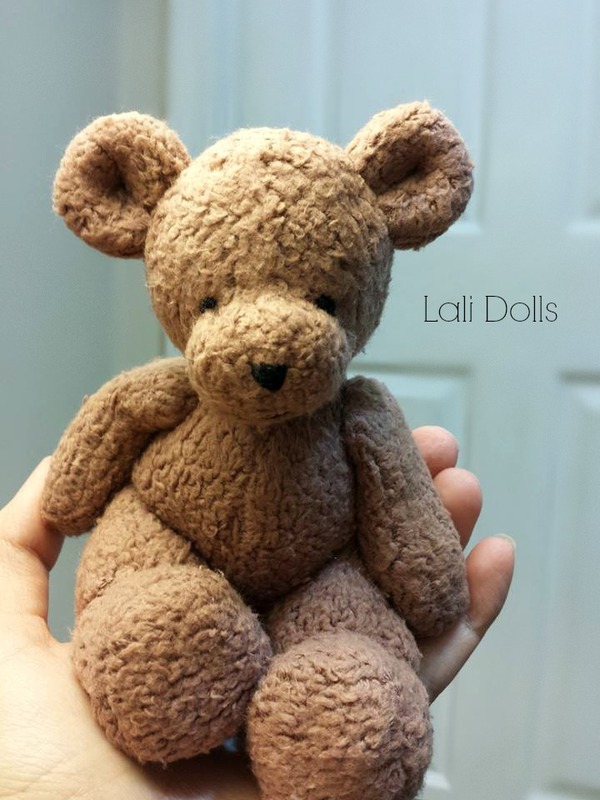 This mini 7″ teddy bear will be given away in the January 1st Dollectable stocking, along with several other give aways from the Dollectable team. Here are the details about the Dollectable give away upload; All listings will be in our Hyena Cart shop and will all be set to the “Drawing” style listings for 24 hours. The shop will be live at 6pm on January 1st EST and the winners are selected the following day Jan 2 at 6pm. Tomorrow, we will be doing the drawing for the give away dibs. Anyone who has purchased a Dollectable calendar is entered into the drawing to win the dibs. The winner gets their choice from the shop. The winner has 24 hours before the shop goes live to choose. If you haven’t already purchased a calendar for your chance to win the dibs, we still have a few left in our shop; http://hyenacart.com/stores/dollectable/ We are starting to get the give away listing previews up in the shop too.